A relax day on last Sunday that I don’t have a class. It is very long time to have a break in Sunday and that day I was very happy to stay home. I didn’t do anything about work and started cleaning my room and thinking about decoration my room. 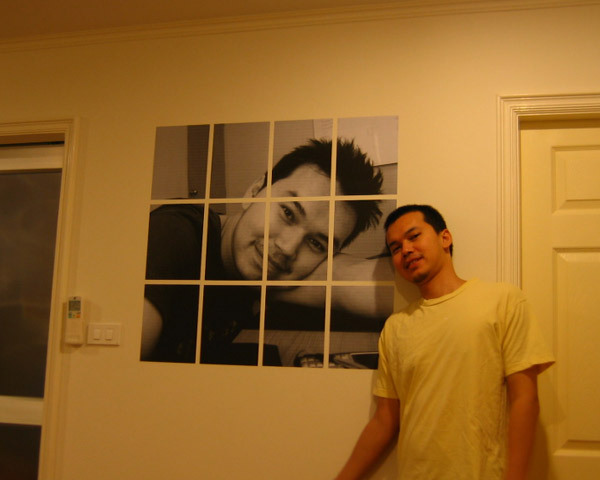 I found a good website that you can upload your photo and make a block poster. So I have one side of wall empty and thinking about have my block poster.